The Altitude Everest Expedition 2007 venture with Altitude Films will roll-out as a three-prong multi-platform project: a theatrical film, the fully interactive web site to be produced by 9th.com that offers regular video streaming from the expedition and a made for television documentary. All three will give unique insights into the challenges faced by the team as they fight for survival more than a mile above the death zone. The production–shot entirely in HD–will allow the audience to live vicariously during each step of the expedition in one of the most dangerous and foreboding environments the human body can endure. Three decades before Everest was conquered by Edmund Hillary and Sherpa Tenzing, Mallory, along with his climbing partner Sandy Irvine, was spotted just a few hundred yards short of the summit before a snowstorm closed in. They were never seen alive again. 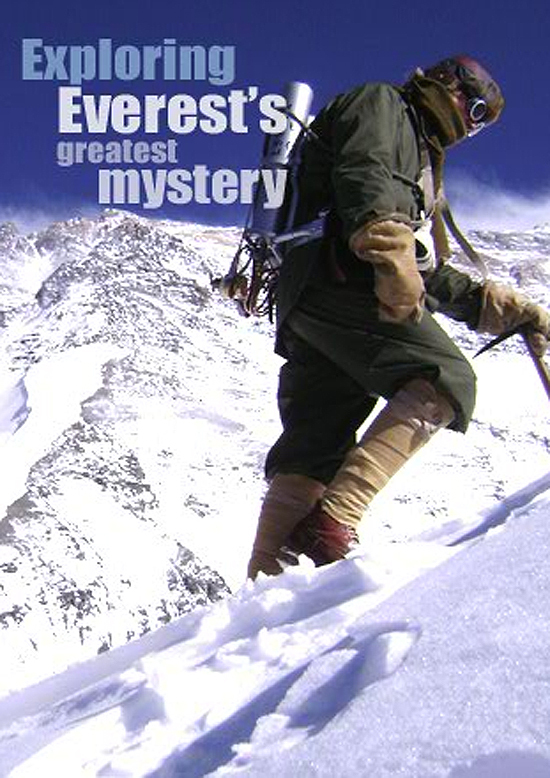 The 2007 expedition team will investigate Mallory and Irvine’s last journey in forensic detail; test the durability of their clothing and equipment in the unforgiving conditions of Everest; and piece together eyewitness accounts – all to reconstruct Mallory and Irvine’s final, fateful hours. The expedition, led by explorer and mountaineer Conrad Anker, will include an attempt to climb the Second Step, the treacherous, 90-foot cliff that defied every climber after Mallory for half a century and may have stopped him from reaching the summit in 1924. Anker, who actually discovered Mallory’s body on the mountain in 1999, 75 years after he disappeared, will go in search of the real man behind the Mallory legend and seek to resolve the great mystery Mallory and Irvine left behind: were they the first men to climb to the top of the world’s highest mountain? Anker, named as the world’s Number One adventurer in ‘Outside’ magazine, has climbed the world’s most technically challenging terrain, including the mountains of the Karakoram Himalayas, the Khumbu Himalayas, Baffin Island, Alaska, Antarctica, and Patagonia. Several times he was the first climber to reach the summit of treacherous peaks that defied dozens of attempts. Ever since he discovered Mallory’s body, Conrad has been obsessed by the mystery of his disappearance. Accompanying Anker to retrace Mallory’s steps is British climber Leo Houlding, described by the BBC’s Jeremy Clarkson as ‘one of the twenty best climbers ever to have lived’. Houlding has set a blazing trail through the climbing world, specializing in speed climbing and base jumping. As well as appearing on the BBC’s Top Gear program when he raced Jeremy Clarkson up the face of the Verdon Gorge (while Clarkson drove up), Houlding has free climbed the El Nino route in Yosemite and recently completed the first free ascent of the Casserato pillar on Fitzroy in Patagonia. Anker and Houlding will be joined by Ken Sauls and Jimmy Chin (who recently skied down Everest), two of the world’s leading high altitude cameramen and a back-up team that includes technical and medical support. Overseeing the expedition is Russell Brice, who has been leading expeditions to the Himalayas since 1974, and is now widely regarded as one of the most professional leaders of all guided expeditions to the Himalayas.